While stressing that this was in no way intended as a scientific study, Collision Hub CEO Kristen Felder said her experiences on about 30 reinspections revealed serious repair flaws and auto body shops and insurers out of sync with customers’ expectations. She said it also caused her to take a hard look at her past work as an insurer and if stressing KPIs then led to the kind of collision repair behavior found. Felder said she was a fan of reinspections, which were nothing new for collision repair or insurers as an internal quality control measure. But recently, they seemed to grow both in media attention and to an external cottage industry and revenue source, she said. In 2015, she decided to take a closer look at the concept as it stood today, and discussed her experiences with a Guild 21 call in June. Felder, who’s worked for both shops and insurers, said she approached the matter in a nonjudgmental way and reached out to both industries involved in the repairs as well as the actual customer. The examination wasn’t intended to get anyone in trouble, merely to explore the issue from all perspectives. All of the approximately 30 reinspections — “not even close to a great database sample,” she stressed — involved direct repair program shops. However, she cautioned “I don’t think it’s only” insurer preferred network shops producing these kind of results in the actual industry, and she remained a DRP fan. Before we get into the vehicle findings and the other parties, let’s take a look at what Felder said the customers — the vehicle owners — expected to happen with their vehicles and claims. She said the customer felt the insurer would send them to the right shop to do a good job on their vehicle. “That was just their overall assumption,” she said. When Felder explained how the process actually worked, customers were surprised. What the industry would consider a “background check” wasn’t nearly to the level the customer thought was being done. They thought insurers verified the work would be done right. 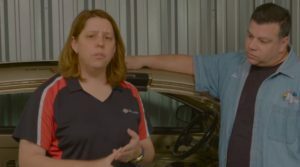 Customers saw both repairer and insurer as checks and balances on each other to ensure their vehicle had been fixed correctly, according to Felder. Customers, felt it was “our duty to protect them,” according to Felder. From a customer satisfaction index (CSI) perspective, the shops were often market leaders. In fact, surveys done after the initial repairs of the secretly flawed vehicles had high scores, according to Felder — in one, the experience was scored a 10. “The customer didn’t know what they didn’t know,” Felder said. Going into the process, Felder expected reinspections to mostly uncover nitpicky items. “I didn’t see what I was expecting to see,” she said. Mostly, the reinspections “probably found more significant and severe” problems. It wasn’t just the kind of flaws an incomplete estimate would produce, she said. It was “kind of a hodgepodge of issues” that shouldn’t have been “so hard to really see or catch,” she said. This included “really poor welding,” “panels that were left unrepaired completely” and a condenser glued to a washer bottle,” according to Felder. These weren’t situations where an insurer wasn’t paying for the work, she said. “Most of this was just basic” collision repair done badly. Technicians are often unheard, and Felder wanted to get their perspective on the work they’d done, talking with them in about half of the reinspections. The techs felt their job was to “get the car out as fast as possible,” according to Felder. The faster their car was out, the happier their bosses were, she said. “They felt that it was all a cost-control process,” she said. The technicians also felt different insurers had “different standards” for quality. “That was really surprising,” she said. The technicians felt that their work was “equal level” with the rest of their market, according to Felder. And these were indeed technicians at shops which sent staff to classes, according to Felder. “Do we really not know what good looks like?” Felder said. The shop owners contacted seemed unfortunately to support their technicians’ perception of them, based on Felder’s account. “We were a little surprised” by the owners’ reactions, Felder said. They didn’t feel the kind of ownership of the work she’d have expected. When she made a mistake, she didn’t want to make it again, Felder said. But the owners just wanted to solve the problem in front of them — this vehicle was fixed incorrectly — rather than look to see if a larger issue was really to blame, according to Felder. “Most of the shops had a fear” that their DRP insurer would find out, and “many shops had drawn up releases” for customer to sign, including a nondisclosure agreement, to get the repair done. They also mostly felt “fast” and “for a lesser cost” was their priority, not a vehicle that was repaired correctly, she said. “That caused a few pauses for me,” said Felder. She said it caused her to take a hard look at her past role at an insurer, stressing KPI issues like cycle time and rental cars to shops. “Did I cause this?” she said. Felder was able to talk about the issue with insurers in about eight to 10 of the repairs studied. The insurers thought their their job was to find a good place for their policyholder, and then get the car repair quickly and cost-effectively to help keep customer premium expenses down, according to Felder. As for repair quality, Felder said insurers felt “‘that’s not really my duty'” and deemed it the shop’s responsibility. There is the concept of the “service trap,” she said. An insurer might have 500 claims in a day to handle, followed by another 500 the next, and managing that volume means relying on shops and other partners to take care of customers to handle the volume. When the insurers were told about the issues found in the reinspection, the “blanket” response was “’The shop has a warranty,'” according to Felder. The perception was “‘The shop’s gonna handle it,'” Felder said. Like the shop owners, the insurers also didn’t show a lot of interest in doing something broader (such as a DRP suspension or some sort of audit) following the serious errors found through the reinspections of the individual policyholders’ vehicles, according to Felder. She said the sentiment seemed to be that if a shop still didn’t take care of the problem, then the insurer would do something; otherwise, no issue. Felder stressed at the end of the presentation that “by no means” was 30 reinspections enough to draw conclusions, and “we don’t have any answers.” But she threw out some food for thought for the Guild 21 audience. 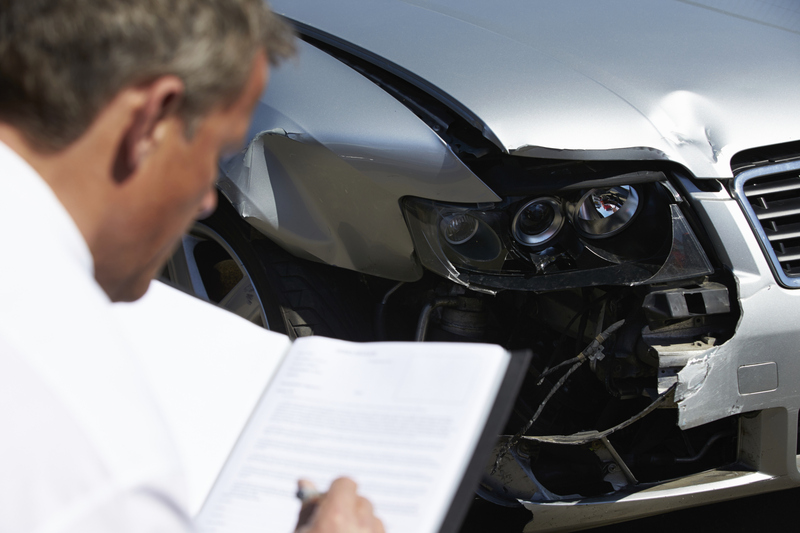 Are the right measures in place today to ensure a modern vehicle will be repaired correctly? If one fails to correct a larger problem, focusing solely on making case-by-case botched repairs go away, will that person ultimately end up being held accountable by a jury? Felder also said the examination of reinspections did include conversations with health care groups about how they managed physicians and found that industry goes beyond CSI scores. Ultimately, a bad doctor is penalized for poor quality, she said. “Is there a new severity?” she asked.